As we turn the calendar to June, it’s time to start to think about housekeeping for your Google stuff. Teachers and students who are regular users of Google Classroom should know how to clear away their classes at the end of the school year so they have a fresh and clean Google Classroom dashboard in the fall. Check out the video below to learn how teachers can archive their classes at the end of the year to make way for the new school year. Select the Post to use – NOTE: If you have attachments that you want to give a copy to each student, be sure to click the box in the bottom right corner that says “Create New Copies of All Attachments”. Students Can Un-Enroll from Classes: If a teacher doesn’t archive their class, students may want to remove classes from their Google Classroom Dashboard at the end of the school year to make way for new classes in the fall. To do so, from the home screen where the tiles for each class appear, click the 3 dots and choose “unenroll”. Take Google Drive contents with you! 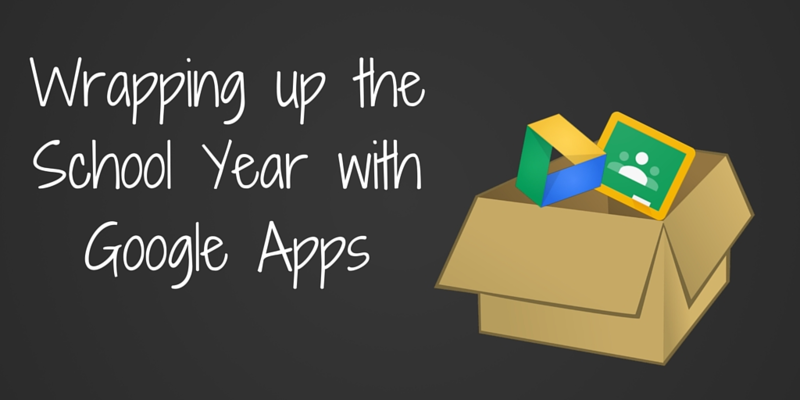 If you are a teacher leaving your current school to take on a new role or a student graduating from the district, you’ll want to take your Google Drive contents with you! 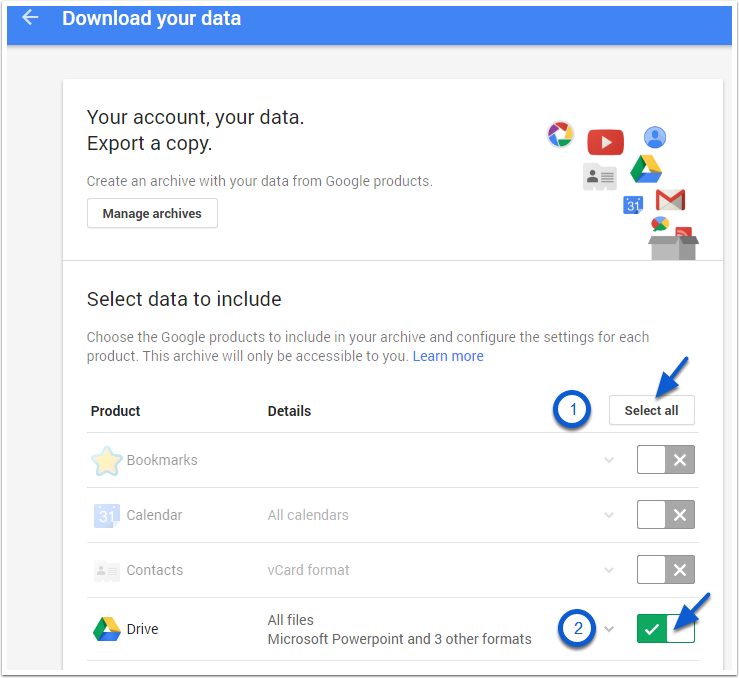 Google TakeOut is a service that allows you to create a copy of your Google data and move it to a personal Google account. This is perfect if your account will no longer be available to your due to a job change or graduation for students. Click SELECT NONE to de-select all of the Google tools. Select ONLY the data you want to include. I suggest doing this only for Google Drive. Although you can download other data, such as gmail, the procedure for moving it into a personal account varies. Choose how you want to export your archive. If you opt for email of a *.zip file (compressed file format), the file will be sent to the account you created the archive for. You would then download it to a computer, unzip it and then upload it to your personal Google account. Alternatively, you can add Drive content directly to other cloud storage services such as Dropbox or OneDrive.